No. 49, Jalan Mutiara Emas 5/26, Taman Mount Austin, 81100 Johor Bahru, Johor, Malaysia. 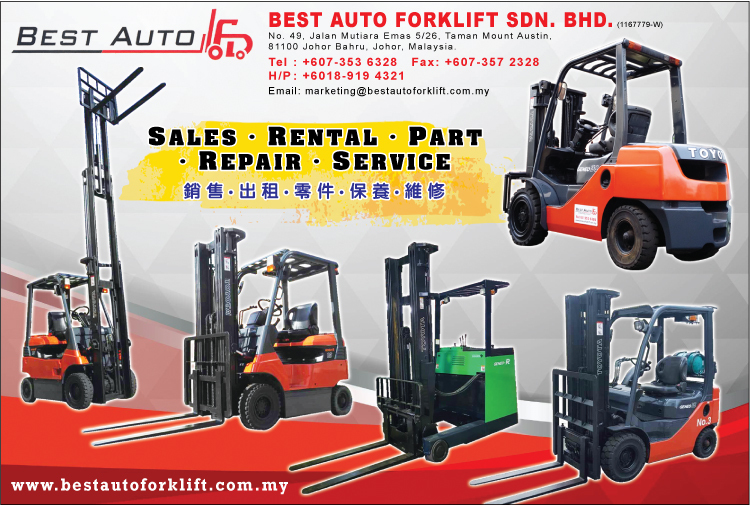 Best Auto Forklift Sdn Bhd are dealing in SALES, RENTAL, PARTS, REPAIR and SERVICE Focus in materials handling equipment. We believe SERVICES being our core business, Enables us to be focused as a company in best serving the materials handling needs of our customer. 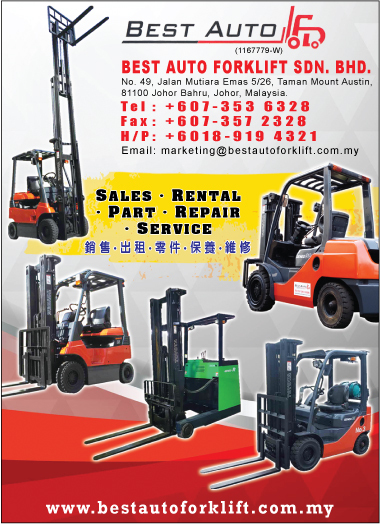 If you want to find Forklift in Johor Bahru, Malaysia, kindly contact us.